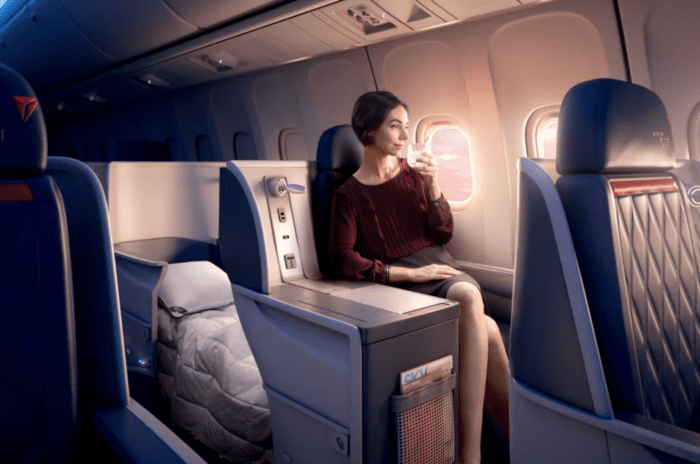 Delta Airlines debuted the brand new Delta One Suites on their A350. These were soon added to refurbished 777 aircraft alongside new Premium Select seats. 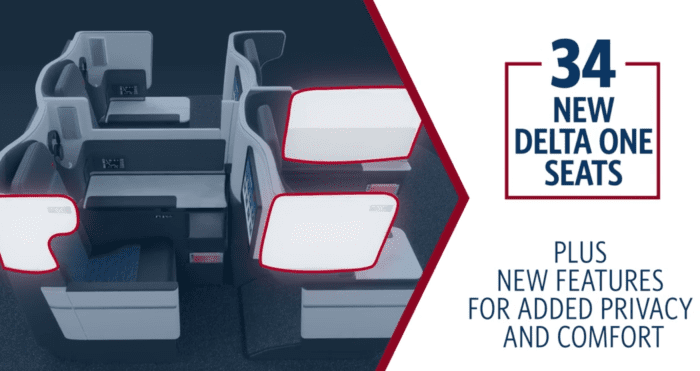 As Delta Airlines seeks to standardize their Delta One product across their fleet, they have unveiled a new 767 Delta One seat. However, there’s something just a little off about it. Delta’s 767-400s have 40 Delta One seats in a staggered configuration. As you can see from the image, there isn’t a lot of privacy in the current configuration. If you have an aisle seat, you are quite exposed. The cabin has a very open and airy feel. I flew a 767-400ER between Lima and Atlanta recently and the Delta One Cabin felt quite old. Despite the additional touches to the image, the configuration and open concept are not competitive in today’s business class market. Delta’s 767 aircraft are aging transatlantic workhorses. 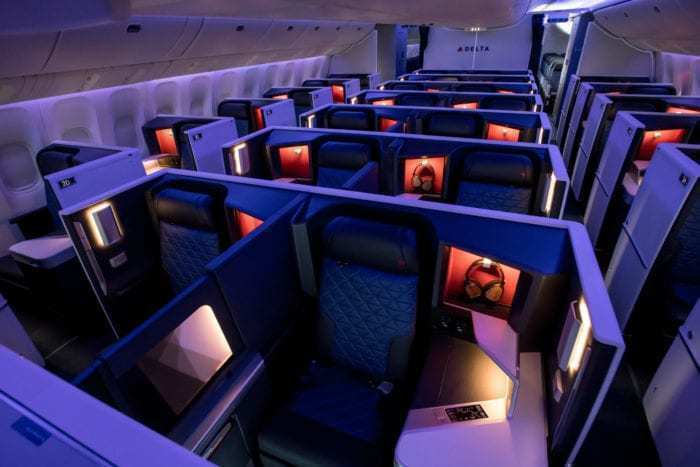 With competition from Lufthansa’s new business class, United’s Polaris 767s, and the recently unveiled British Airways Club Suite, Delta definitely needed to step up their product. As a result, they announced they would be putting Delta One Suites on their 767-400ER aircraft. 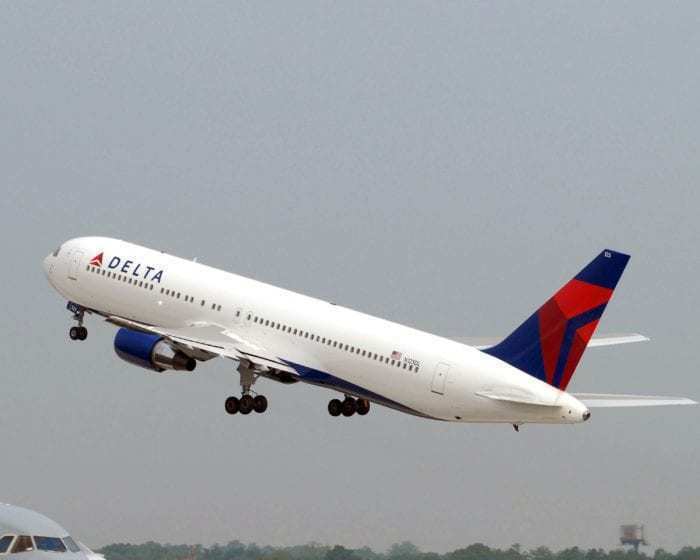 The 767-400ERs are the youngest 767s in Delta’s fleet. Because Delta will be flying them longer, they are receiving the upgraded product. 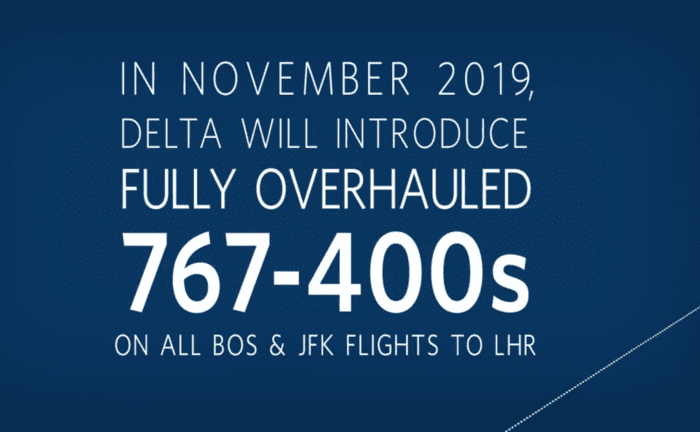 Delta’s 767-400ER, in fact, will be operating their new routes to London. This makes refreshing their 767-400ERs of the utmost importance since the transatlantic market is rife with competition. We know that there will be 238 total seats. Compared to the current 246 seats, this represents an 8-seat loss on the 767-400ERs. 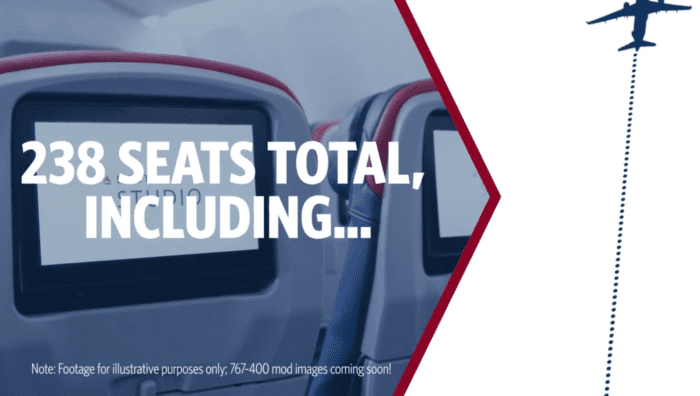 Delta One will have 34 seats in a modified Delta One Suite. That is, without the signature door. The new Delta One seat is based on the same design of the current suite, however, that’s where the similarities end. The new seat retains the staggered configuration and is really just a modified version of their current seat on the 767. On the bright side, Delta’s new 767 Delta One will have greater privacy than the current seats. Based on the image, it seems like seats that are closer to the aisle will receive a smaller privacy shield than seats farther from the aisle. Regardless, more privacy is still an improvement. It is nice to Delta refreshing their 767-400ER product. 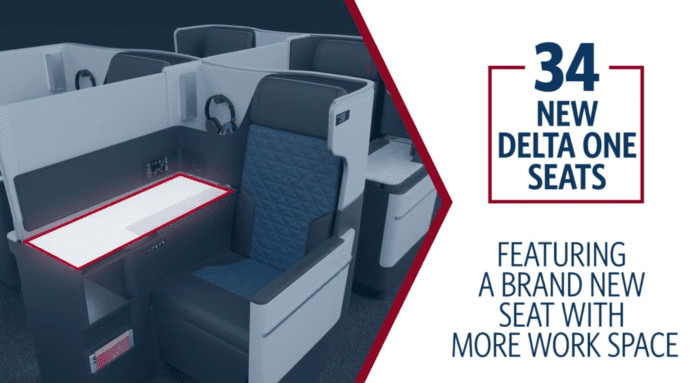 Across Delta’s fleet, you can find reverse herringbone business class on their A330s, staggered configuration on their 767s, herringbone on some of their 777s, and Delta One suites on some 777s, A350s and A330neo. The 767 has a narrower cabin width, so it makes sense why Delta didn’t put a door on their 767 seats. Already on the refurbished 777s and A350s, the aisles in Delta One are on the narrower side. Compared, however, to their current 767 seating, this will be a significant upgrade. Delta hopes this product can keep their transatlantic business class full. They are especially relying on their transatlantic joint venture with Virgin Atlantic and Air France-KLM to give them a leg up. Time will tell how this strategy pays off. We’ll be eagerly awaiting the first of these refurbished 767-400ERs to debut. Are you satisfied with the new 767-400ER Delta One? Is this what you expected? Let us know in the comments below! Newer planes cost much more money. Are you willing to pay more for your trip? Yet you wouldn’t have a problem with an 18 year old 777/A332 or 29 year old A320. Shut the hell up please. Plenty of 777’s and A330-200’s are around 21-18 years old – and since we don’t know what we’re talking about here, let’s scrap all of those also. Nice to see Delta spending a bit of money on the 764s, I just hope the interior refresh doesn’t stop at the first row of economy, as the whole interior is seriously dated. I fly them ATL – STR so I hope we’ll see them there sooner than later.